Arrive in Shimla on own & transfer to the hotel. Relax at the hotel. Evening at leisure. Overnight at the hotel. 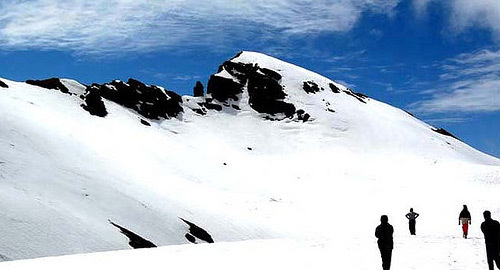 Morning depart on your own for a half-day sightseeing of Shimla visiting Kufri, Wildflower hall & Naldhera. Late afternoon you can visit the famous Mall Road of Shimla. You can stroll on the Mall Road & enjoy the beauty of the road, which has various British style structures, Ridge, & Lakkar Bazaar that is famous for Wooden articles. Overnight at the hotel. Day at leisure in Shimla to explore Shimla on own or you can take a tour to Chail on own. Evening at leisure. Overnight at the hotel. Morning depart from Shimla for your journey to onward destination.